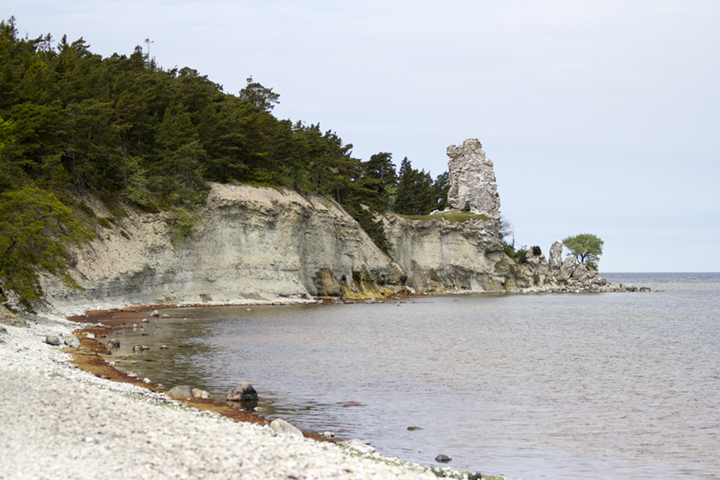 The rauk (limestone sea stack) at Gamlahamn. 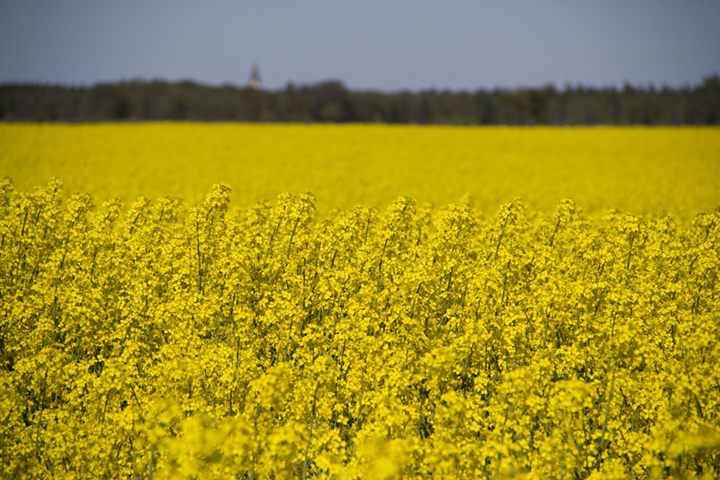 The Baltic island of Gotland is rich in natural, and almost mystical, beauty. 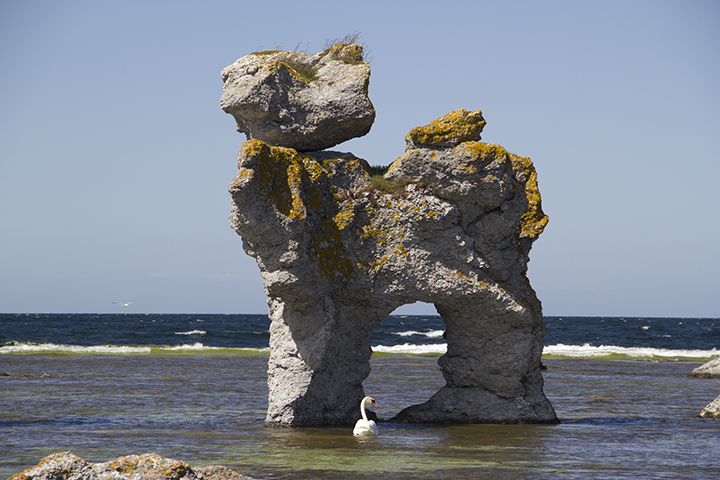 Great limestone sea-stacks called rauks tower over beaches, and seemingly march up hills. 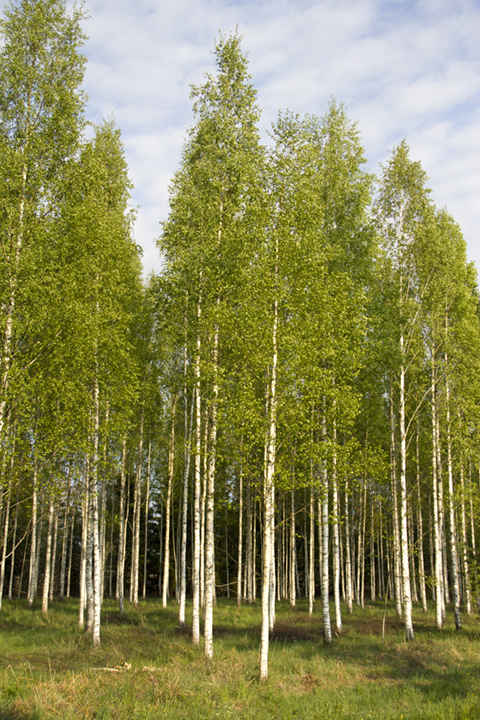 Forests of dense spruce and fir are interspersed with stands of brilliant white birch. 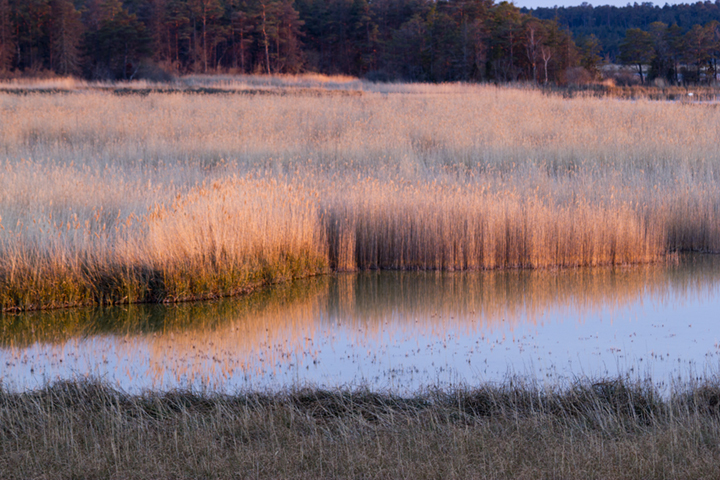 Dazzling light reflects from the Baltic and the many lakes, making both water and sky shimmer. 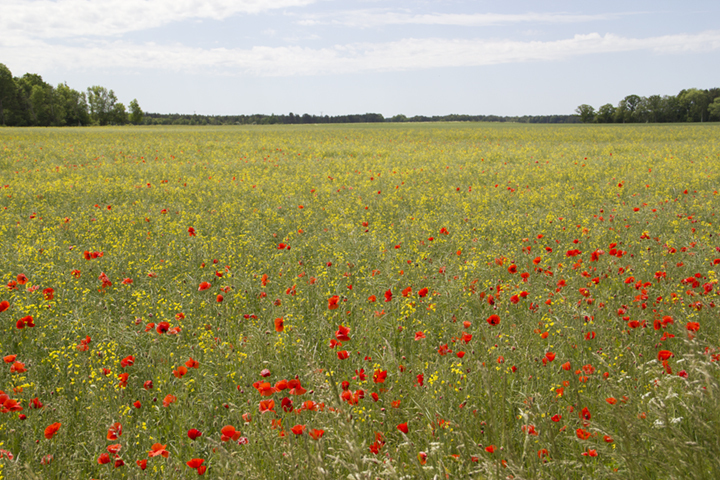 Wildflowers are everywhere. 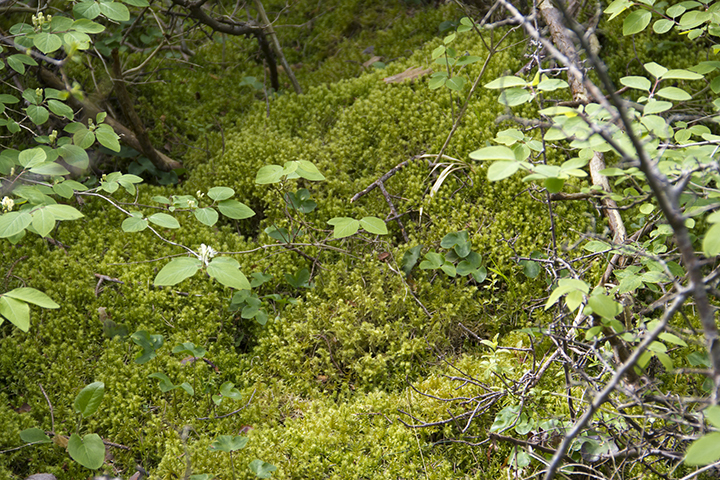 Moss and fern undergrowth at Jungfrun (“The Virgin”) rock formation. 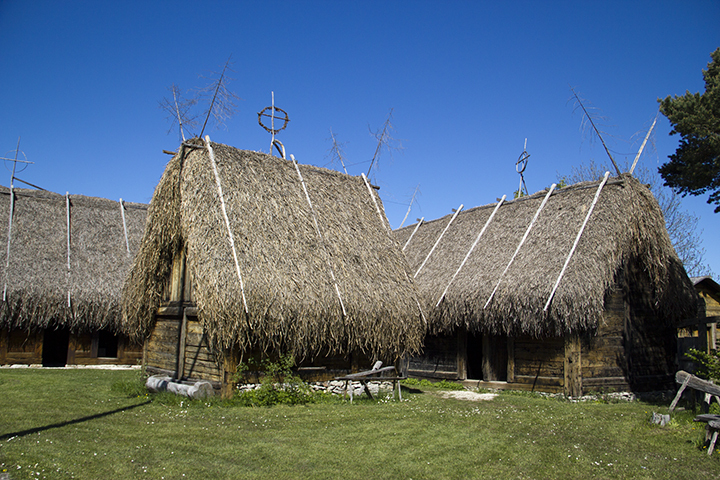 Sedge (called “ag” on Gotland) thatched traditional buildings at the Bunge Farm Museum. 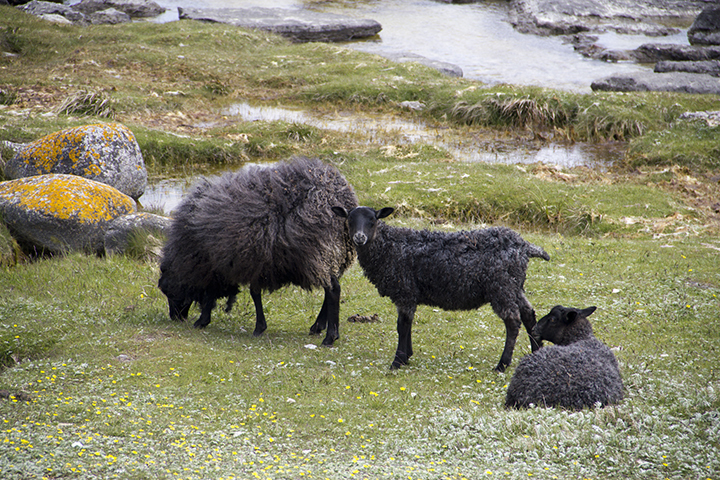 Mother lamm and her twin lamms on the beach on Fårö. 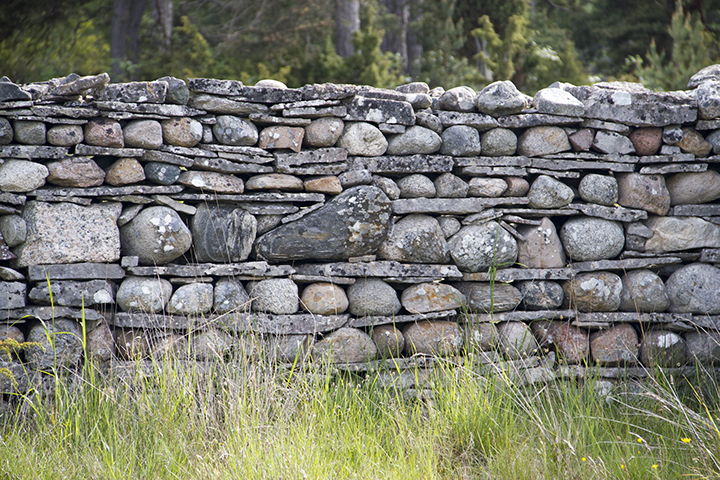 Magnificent stone wall on Fårö.